In this first episode of my brand new podcast, “The Edge with Greg Hughes,” my guest, Jason Morris, an attorney and estate planning expert, went to great depths to give listeners a large number of concrete takeaways on topics such as why trusts are essential, the consequences of not putting one together correctly, and the importance of keeping your trust up to date. 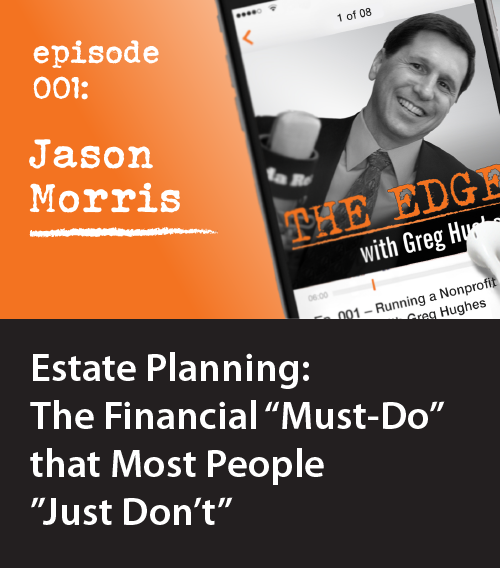 In the first episode of my brand new podcast, “The Edge with Greg Hughes,” my guest, Jason Morris, an attorney and estate planning expert, went to great depths to give listeners a large number of concrete takeaways on topics such as why trusts are essential, the consequences of not putting one together correctly, and the importance of keeping your trust up to date. What is the #1 thing you should know before visiting an estate planning attorney? How can you cut down on the time and cost of setting it up? What can we learn from Michael Jackson’s and Prince’s estate planning mishaps? What is probate and how can you minimize it? A trust is essential for anyone who has any assets. If you fall into this category — as most of us do — I invite you to enjoy the episode as a video, audio podcast, or PDF transcript. 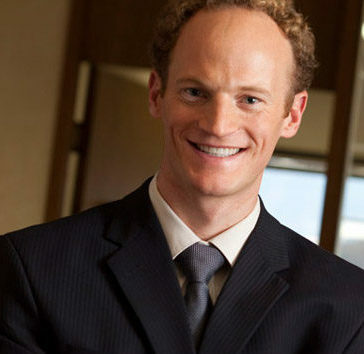 Jason Morris works extensively within the field of estate planning. He represents families, couples and individuals in crafting wills and trusts. He represents clients in probate, estate and trust administration. In addition, he develops and implements gift and estate tax saving strategies. He has published timely articles on current estate planning and income tax issues. Morris is a Certified Legal Specialist in Estate Planning, Trust & Probate Law by the State Bar of California. In 2014, Morris was named a top “Twenty Under Forty” award winner by the Reno-Tahoe Young Professionals Network. To learn more about Jason Morris, visit the Woodburn & Wedge website WoodburnandWedge.com.